“Extra virgin olive oil experience” will lead You to a travel in time, letting you explore the territory of Sabina and discover the oldest food used by man: extra-virgin olive oil! You will find out about its many qualities, learn how and when to use it in its natural form or “cooked”, the history behind the oil and the ability to use a natural product for lighting lamps and cosmetics. 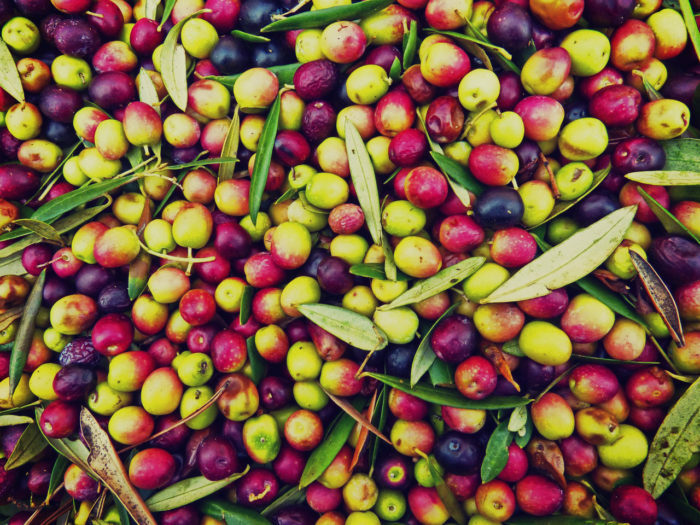 With the guidance of our qualified experts, you will learn to differenciate between the pure qualities of the extra-virgin olive oil and the other oils available. You will be able to wander through ancient olive groves, modern farms, huge pollinators and unspoilt landscapes. Crossing Sabina, you will get to Poggio San Lorenzo, a village located at 650 m.a.s.l. , the highest allowed altitude for olive groves to be cultivated. You will visit the ruins of an old Castle surrounded by olive groves and the village historic center. You will be able to walk along the ancient Via Salaria and among the majestic Roman walls of Villa Laberia Crispina, that in medieval times became the foundations on which Capofarfa oil mill was built. Vedrete i ruderi di un antico castello immerso tra gli olivi e il centro storico del paese passeggiando sull’antica via Salaria, tra le imponenti mura di epoca romana della villa di Laberia Crispina sulla quale nel medioevo fu costruito il frantoio Capofarfa. The oil mill has a museum dedicated to Roman findings, and it hosts part of an aqueduct of the second century A.D.! “Playing” with taste and culture, you will discover that quality eating equals a healthy life …while treating your palate! We assure you, it will be a memorable experience! The TOUR is organized for groups of no more than 8 members. Drinks: natural water, wine, coffee and liquor. Please notify us at the time of resevation if you are celiac, vegetarian or food intolerant or allergic. Departure is scheduled at 9.30 a.m. from a pre-established location. A video will outline the curiosities and the peculiarities of the tour. Arrival in Poggio San Lorenzo, the country of “Sabina olivicola” and built upon an ancient Roman villa, which dates back to 100 A.D.
Visit to the oldest olive tree pollinator of Sabina. Tastings of extra-virgin olive oil and “Bruschetta” in the agricultural holding situated along a stretch of the ancient Via Salaria. Visit to the ruins of the castle of Capofarfa, immersed in ancient olive groves and given to the Agamennone family, in the 1600 by Farfa Abbey. Visit to Poggio San Lorenzo historic center, once known as Vicus Narvae. Lunch in Agamennone mill by the family historic warehouse of 1600.The Menu, which comprises typical meals of the local cuisine, will demonstrate the property of extra-virgin olive oil to enhance and exalt the taste of food. Visit to the museum of the oil-mill and demonstration of the modern techniques of extraction of extra-virgin olive oil. Stopover in the “educational hall” of the oil-mill, where the intimate link between a correct nutrition and a healthy life will be discussed. There will be room for questions and …a lot of interesting facts!